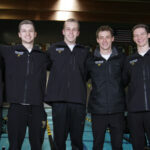 Six Gustavus swimmers are preparing for the NCAA Championships in Greensboro, N.C., which takes place March 20-23 at the Greensboro Aquatic Center. 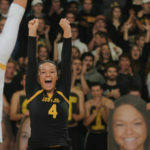 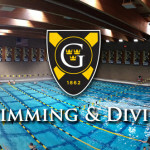 The NCAA Division III Men's and Women's Swimming and Diving Committee announced the participants for the 2019 NCAA Division III Men's and Women's Swimming and Diving Championships on Wednesday and that list included six competitors from Gustavus. 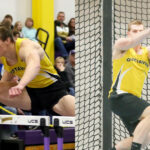 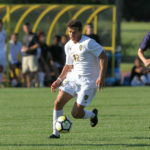 Gustavus throwing specialist Michael Hensch (Jr., North Branch, Minn.) concluded the outdoor season Saturday at the NCAA Championships, hosted by UW-La Crosse. 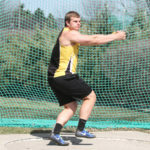 Hensch placed 15th in the hammer throw with a toss of 178-2.25. 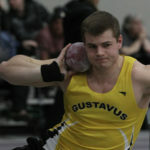 Gustavus throwing specialist Michael Hensch (Jr., North Branch, Minn.) competed in the shot put Friday at the NCAA Division III Outdoor Championships and took 12th place with a heave of 52-1.25. 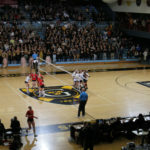 Hensch exceeded his entry as he was seeded 18th out of 20.